It’s a frustrating outlook to have to face when the structure that’s held the knee together for a person’s whole life, has worn down to have very little of that structure remaining. But the outlook usually is never as grim as people may think, or are led to believe. In offering free consultations for stem cell therapy here in our clinic, we’ve seen countless people come through our doors under the impression that their knees were bone-on-bone, and that all hope was gone for avoiding something like total knee replacement surgery. And in years past, that absence of hope may have been perfectly valid. However, with the development and progression of orthopedic stem cell therapy in recent years, patients suffering from osteoarthritis have more hope for non-surgical recovery than ever before! If there’s one common trend that we’ve come to notice here in our clinic, it’s that the “bone-on-bone” diagnosis of a knee, tends to be drastically overused. Oftentimes, it seems that this diagnosis is given to any knee suffering from a noticeable deterioration of cartilage. While the cartilage may no longer be in tip-top shape, A true bone-on-bone status of a joint is representative of the severity of stage 4 osteoarthritis. Among patients we see who fear their knee joint is bone-on-bone, only a small percentage are truly into this most severe stage of arthritis when examined under X-ray. The vast majority of patients would properly be classified as either stage 3, or even stage 2 arthritis, which brings with it a very promising outlook with regards to stem cell therapy. 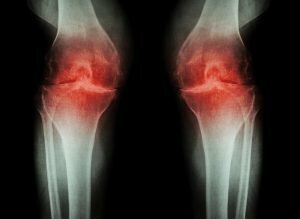 Even at the point of stage 3 osteoarthritis, the vast majority of patients stand a very high chance of significant improvement from stem cell therapy. When compared to total knee replacement surgery, stem cell therapy can often provide the additional perks of avoiding a major operation, drastically shorter recovery time, and better overall results. And when it comes to out-of-pocket costs, stem cell therapy can also often provide a much more cost-effective option compared to knee replacement surgery. As is the case with treating any joint with stem cells, the first step will be to visit South Valley OrthoMed for a free consultation. We want to evaluate each potential patient on a one-on-one basis, to make the most responsible recommendation possible regarding their candidacy for stem cell therapy. Even though the aches and pains of persistent joint pain can make a situation seem hopeless, the outlook almost always tends to be better than most patients anticipate before coming in to see us! Am I Too Old For Stem Cell Therapy? This is definitely one of the most common questions we hear regarding stem cell therapy, and really, it’s not hard to see where people are coming from with this inquiry. The effects of aging have a funny way of changing our perspectives on the concepts of pain and healing. We all remember our younger years when aches and pains just simply got better, and often in a short amount of time. Unfortunately, we have much more fresh memories of aches and pains that linger for much longer stretches of time, sometimes even long enough to force changes in the way we live our lives. Alleviating those aches and pains, and oftentimes overcoming more traumatic injuries, is the very goal of stem cell therapy. And believe it or not, age has little to do with whether or not it will be effective in achieving those goals. During our younger years, a major factor in why injuries more rapidly heal is due to the body naturally producing stem cells at a higher rate than our older selves. But that doesn’t mean stem cells aren’t still present in the body and continually producing as we age. More importantly though, when a concentrated amount of stem cells are introduced into a damaged area, as they are during stem cell therapy treatments, they begin working to heal and rebuild damaged tissue, regardless of age. Stem cells adapt to their surroundings, essentially following the original programming of the human body’s composition. Age-discrimination is essentially a non-factor in the effectiveness of stem cell therapy, as even in older patients, that construction crew of cells is able to go to work on repairing the structure of damaged or arthritic joints. Looking toward the future, stem cell therapy appears to be at the forefront of a regenerative medicine revolution. 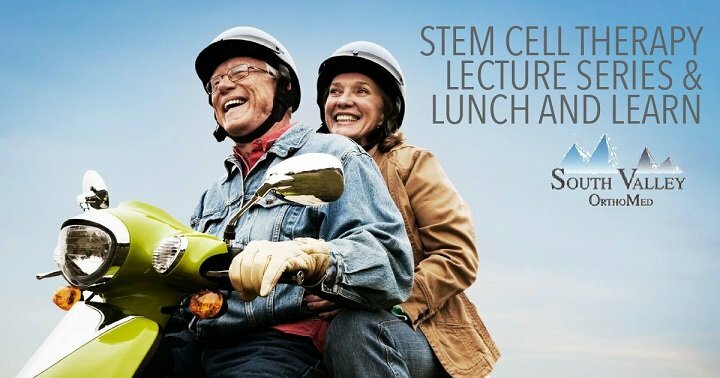 Whether patients are battling the physical limitations of a traumatic injury, or simply the aches and pains of worn-down joints that comes with old age, stem cells are offering patients a new beacon of hope for recovery. Many patients experience significantly better results and pain relief from stem cell therapy than they otherwise might have with the traditional treatments and/or surgeries of yesteryear. Along with that, stem cell therapy is often much less costly, has shorter recovery times, and a procedure that only takes roughly one hour to perform. If you’d like to learn more about how stem cell therapy can help you break free from things such as joint pain and arthritis, don’t hesitate to call and schedule your free consultation at South Valley OrthoMed. Stem Cell Therapy Lecture: “Who’s Holding Your Needle? John D. Sonnenberg MD presents “Who’s Holding Your Needle?”, a seminar on stem cell therapy and PRP at 7 p.m. on Wednesday, August 23rd 2017 at the South Jordan Library. 10673 S Redwood Rd. FREE with a donation of a non-perishable item to the Utah Food Bank. Seating may be limited. Call 801-566-4242 to register. Stem Cell Therapy is a one of the most exciting areas in all of modern medicine, and rapidly growing in notoriety throughout the Salt Lake Valley, and the rest of Utah. 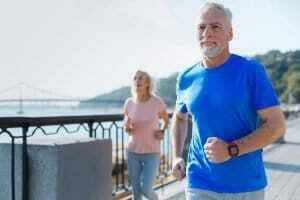 The treatment of joint pain and injuries sits on the verge of a revolution, with stem cells and PRP leading that charge. Eye-opening discoveries have been continually made about the incredible regenerative healing potential of stem cell and PRP treatments. Our hope is that people and patients throughout Utah, especially here in South Jordan, can learn about just what Stem Cell Therapy might be able to do for them. With more than 30 years of orthopedic experience, Dr. Sonnenberg will be able to properly address and answer whatever questions you might have regarding joint pain, as well as the appropriateness of treatment options both old and new. John D. Sonnenberg MD presents “Miracle or Murder?”, a seminar on stem cell therapy at 7 p.m. Wednesday, August 9th 2017 at the South Jordan Library. 10673 S Redwood Rd.